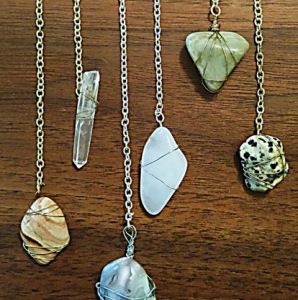 Learn how to do a very basic wire crystal wrap and create your own jewelry! The class includes 2 crystals, wire for wrap, and 1 chain. 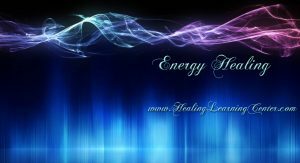 You choose your 2 crystals from the selection we have at the Love & Light Gift Shop. Your choice of suede, silky, or metal chain for your necklace. A Lariat necklace is a necklace in which your two wrapped stones are attached at either end of the chain and you simply fold them over one another to secure the chain around your neck. Both wrapped stones are visible hanging on the front of your neck.